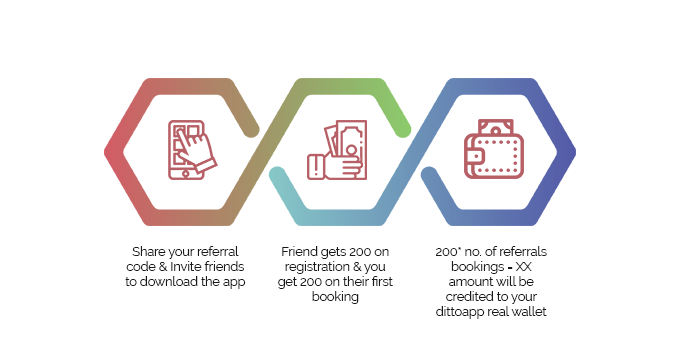 What is ditto refer & earn? Fancy earning a free SPA/SALON service? Well, your friends can help you with that. 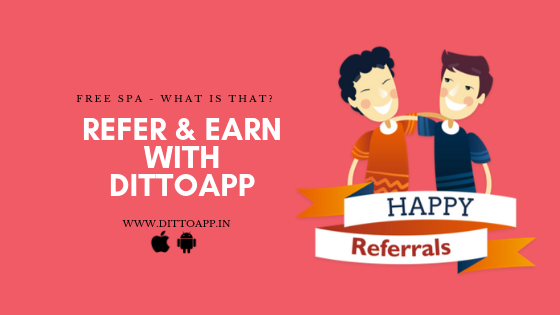 Simply, introduce your friends/family/loved ones or anyone to the ditto way of taking spa & salon services. What does each one get? The referee gets Rs.200 on successful registration on the app. This is not over yet! You get Rs.200 for each referral booking. Just image, if 5 of your friends book, you get a FREE SPA! 200*5 = 1000 in your real wallet. EARN-EARN-EARN – You & your friend BOTH! How simple can this get! Go on! Start inviting. At max we can use 200 of walet balance which is very ridiculous. Previous story 5 best hair salon’s in Bangalore!